For some ten years after moving to London I still had a season ticket for Ipswich Town Football Club. For the the first couple of years it was a great way of keeping in touch with my dad, we'd been going together since I was seven. In those early days the team was at its best, frequently qualifying for the UEFA Cup. I remember coming home from middle school and being allowed to go to the Wednesday night games despite the fact that we wouldn't get home until 10.45pm at the earliest. I saw Johan Cruyff playing for Barcelona. 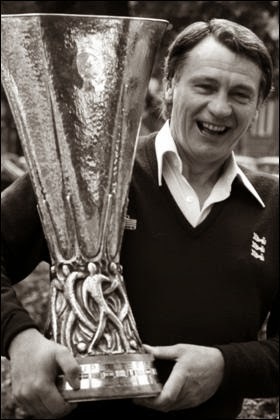 I was thirteen when Ipswich won the FA Cup, and then the UEFA Cup just three seasons later. 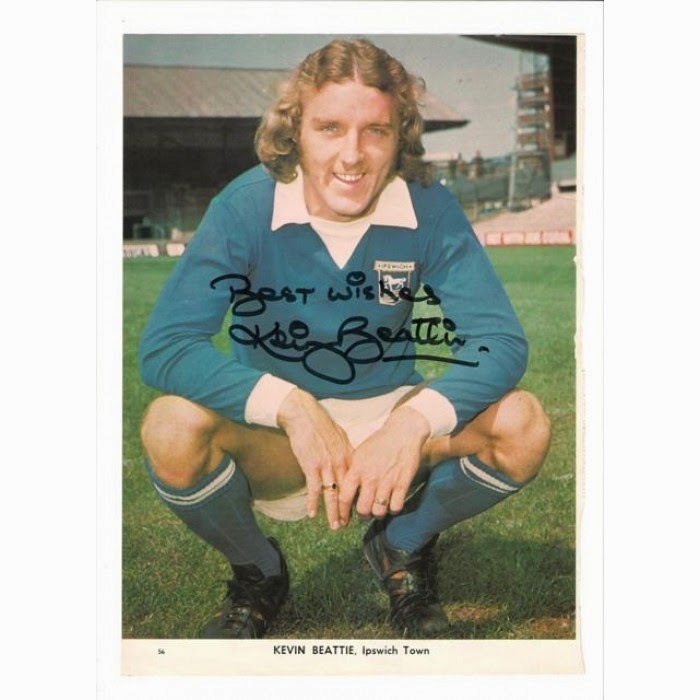 We were fortunate enough to get to know some of the players, Kevin Beattie stayed over at our house many times. We'd go and visit his family and that of Allan Hunter before the matches, and go into the players' lounge after the games, me in awe of the stars all drinking together, my autograph book in hand. For one of my birthday’s Kevin gave me a fully autographed football of the England squad, including Elton John no less! After my dad passed away in 1991 I kept my pilgrimage going. At first, I couldn't imagine not going, but after a while it felt part of the grieving process to watch the team doing their thing. I saw players that he would have loved, even more that would have infuriated him. Gradually the team worsened and there nothing that they could do but revert to second tier football. In 2000 I realised that I was making more effort getting to Ipswich every other week, and weekdays too, than the players were putting in on the pitch. My minimum four hours in the car, or five hours by train and tube, were more than the hours effort I felt some highly paid professionals were putting in across a whole week. I stopped going. Much to my surprise I didn't miss it at all. Twenty-nine seasons and it was easy to just switch off. That quite disturbed me. Such a huge part of my life became meaningless immediately. Last Saturday, the family travelled most of my old journey to attend a family do in Dedham. The journey meant nothing. I drive so much slower than I used to do too. The journey was familiar but not in any nostalgic way, it was just a journey. After the lunch, Mrs Hora dropped the children and me off at Colchester station and we caught a train to Diss. For the first time ever I didn't even bother looking across the Orwell from the train station to Portman Road as we stopped in Ipswich. Even if I'd driven I'd park at the station so the five minute walk to the ground was a regular trip. They won two one today, home to Doncaster, the play-offs still a possibility. Did I read that they've been in the Championship longer than any other team now? Great.